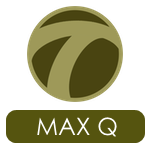 MaxQ is a free web functional testing tool. It includes an HTTP proxy that records your test script, and a command line utility that can be used to playback tests. The proxy recorder automatically stores variables posted to forms, so you don't have to write that stuff by hand. Check that your web site still works (regression test). Check that your web site is producing valid HTML (using JTidy). Automatically extract information from, or take some action on, someones else's web site. It is a free web functional testing tool. It includes an HTTP proxy that records your test script, and a command line utility that can be used to playback tests. The proxy recorder automatically stores variables posted to forms, so you don't have to write that stuff by hand. Scripts are written in Jython, an implementation of Python. Python scripts are easy to understand, modify and extend. Alternatively, the captured HTTP sessions may be saved as XML files, according to ISAC format, for (massive) replay with CLIF load testing platform. Works from the command line so you can run scripts unattended. Written in Java so it runs anywhere. Easy to enhance because the source code is simple. Scripts can run as JUnit tests.